The Arkın Reward, which is an international call for a specific, permanent piece of work that is to be built on a mountain range that overlooks the Mediterranean coastline of Kyrenia, was held in Cyprus, at Arkın University of Creative Arts and Design in August 2018. The works of Leo Caillard, Maurice Blik, Lotta Blokker, Angela Connor, Steve Anthony and James Scott were successful at passing the preliminary selections and their designs were exhibited at the Royal Society of Sculptors building in South Kensington, London between 27-28 February 2018. And now, between 12-15 April, they are being displayed at the Art Rooms Gallery. In an announcement made by the university, it was noted that artists, sculptors and designers from 30 different countries from around the world responded to the call with over 80 different pieces of work. 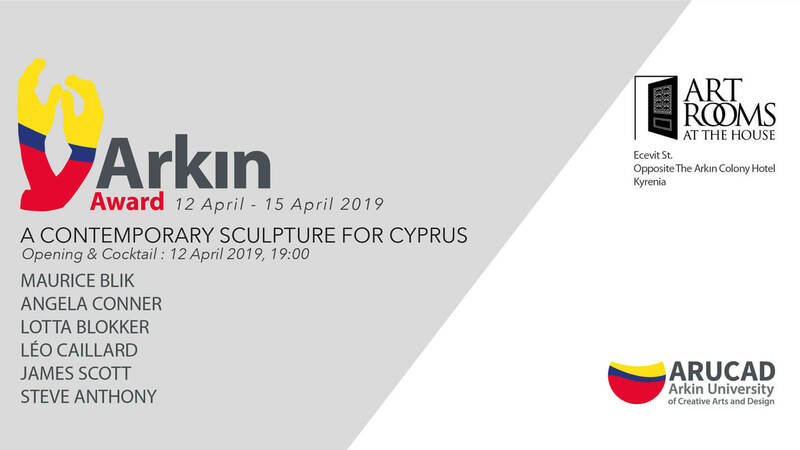 Models of 6 different sculptures will be displayed at a cocktail in Kyrenia’s Art Rooms Gallery on 12 April 2018. All Cyprus residents are more than welcome to attend the exhibition which is to run till 15th April 2018. What is the Arkın Reward? The topic of the Arkın Reward, which is an ARUCAD project run by the Arkın Innovation Hub depicts a 40m high 3D statue and land preparation. It is the name given to a project, for a monument, which will be built within the framework of the “Proud Villager” theme, in Kyrenia. ARUCAD has made an open call to all international artists, designers, architects and creative minds alike for the Arkın Reward. The inspiration for such an event is the cultural & ecological spirit of the enriched history of Cyprus, an island, which has been under the influence or various cultures throughout history. What’s the theme of the Arkın Reward? The Arkın Reward is in search for a design that will add value to the islands cultural heritage through the concept of “Proud Villager” which at the same time is compatible with its surroundings. It’s a heritage that belongs to the proud group of island people whom fulfil the needs of the local families through traditional production methods. The villager theme is one of the most used themes since ancient Egypt. Real life depictions have been embedded with artistic images. Apart from Alber Dürer’s “The Dancing Villagers” in the 16th Century, various productions in Rococo style by François Boucher have been seen throughout the 18th Century. “The Peasant” by Aimé-Jules Dalou, a representative of 19th Century modern art, is a well-known example of such a theme. The Arkın Reward which emphasizes artistic independence is expected to be politically and religiously detached, prominent in focusing on Mediterranean and Near East themes while being inclusive of all the aspects of the island. It is equally important for the statue to be aesthetically compatible with the “pride” theme and appeal to everyone living on the island. For what reason did ARUCAD start this sculpture contest? ARUCAD, being a university focused on art, design and communication, conducts instruction with the mission of culturally investing in the island of Cyprus. 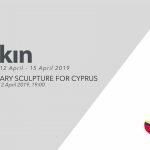 The aim of the Arkın Reward is, hence, to promote Cyprus through art. Therefore, with this artwork, ARUCAD intends to produce a landmark, that will represent the region and will last centuries to come.